There's never been a better time to bag yourself a cheap Samsung S8 deal. The prices are a lot cheaper today than they were at launch, and with the S9 costing a lot more without actually offering much - the Samsung S8 is the obvious phone to go for unless you absolutely must have the latest model. The cheapest Samsung S8 SIM-free deals currently come in at under £500, while the Samsung S9 costs far more at £739! 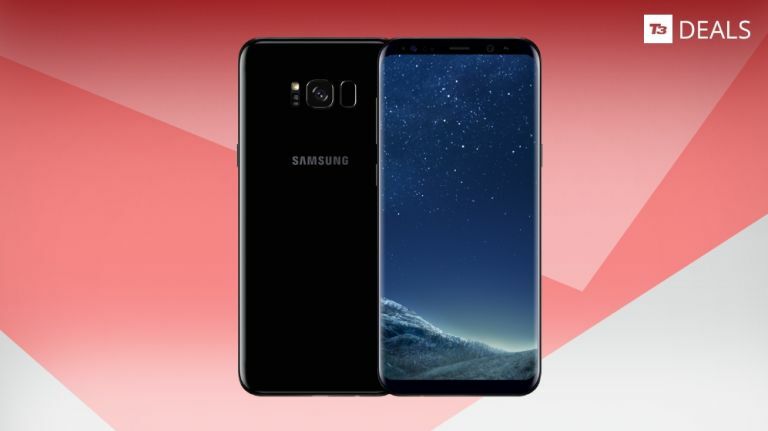 Meanwhile, while the cheapest Samsung S8 deal on contract gets you the phone, 4GB data and unlimited calls and texts for just £727 - £12 cheaper than you'd have to pay for just the S9 phone on its own. So there's no denying that the S8 offers far more value for money - plus it's still a brilliant phone we highly recommend. Below we're listing all of the best Samsung S8 deals currently available in the UK. Our price comparison tool lists updates every hour and lists all of the deals from the UK's biggest networks like O2, EE, Three and Vodafone, as well as all of the resellers like Carphone Warehouse and Mobiles.co.uk. So you can be sure you're seeing the best available options - use the filters to zero in on your perfect S8 deal! Meanwhile, underneath we've named what we think are currently the very best Samsung S8 deals currently available in the UK for most people. And below that we've given you the option to buy the phone outright and go with a SIM only plan because in some instances that's still the cheapest way to get this phone! Stick with T3 and we'll help you get this phone without paying £1 more than you need to.